Encompassing policy, business, and culture, The Africa Center operates locally and globally to transform our understanding of contemporary Africa. 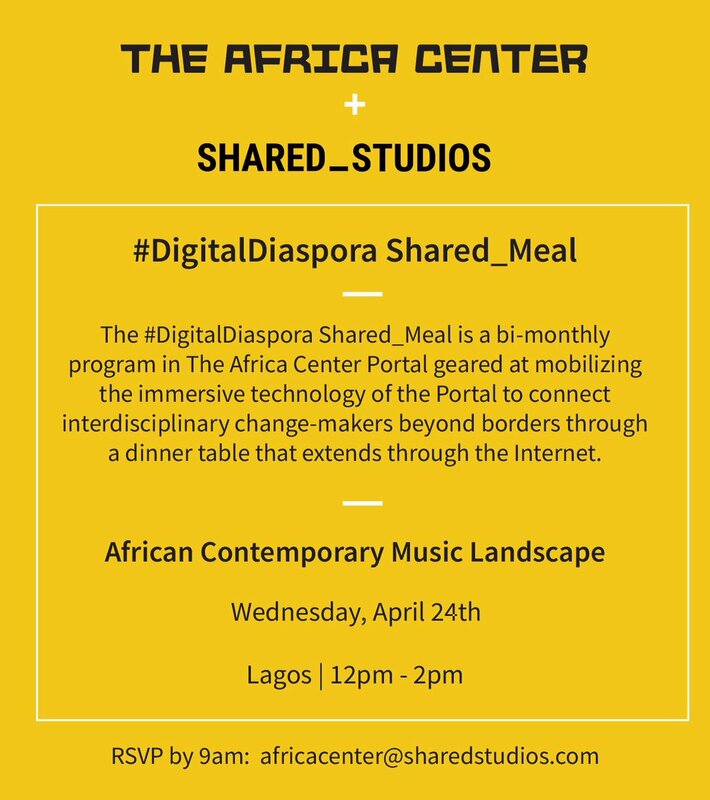 The #DigitalDiaspora Shared_Meal is a bi-monthly program in The Africa Center Portal geared at mobilizing the immersive technology of the Portal to connect interdisciplinary change-makers beyond borders through a dinner table that extends through the Internet. 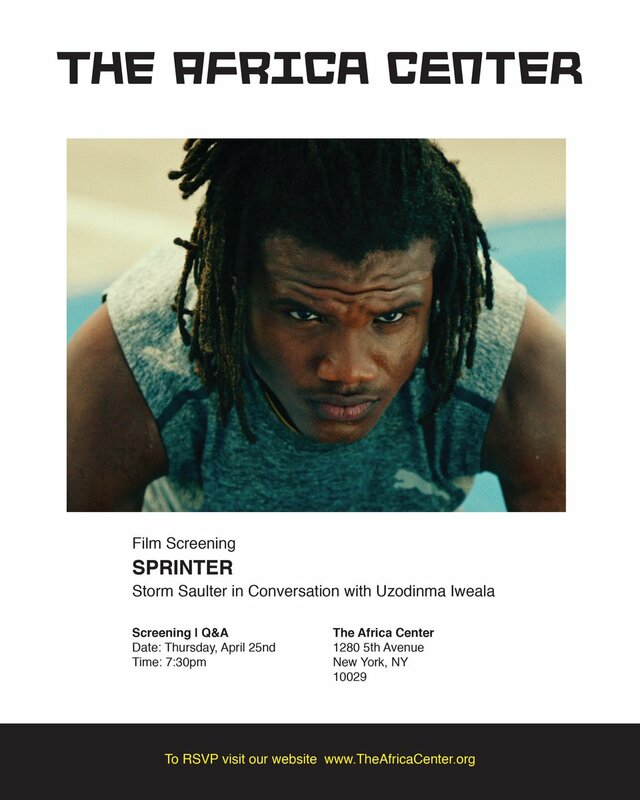 Join us for a special screening of Sprinter, this coming Thursday, April 25th at The Africa Center. Join us tomorrow, April 24th 12PM-2PM for a Shared_Meal with @LagosPortal discussing the Africa's contemporary music industry & landscape. Cuisine by Teranga. Free for all attendants. 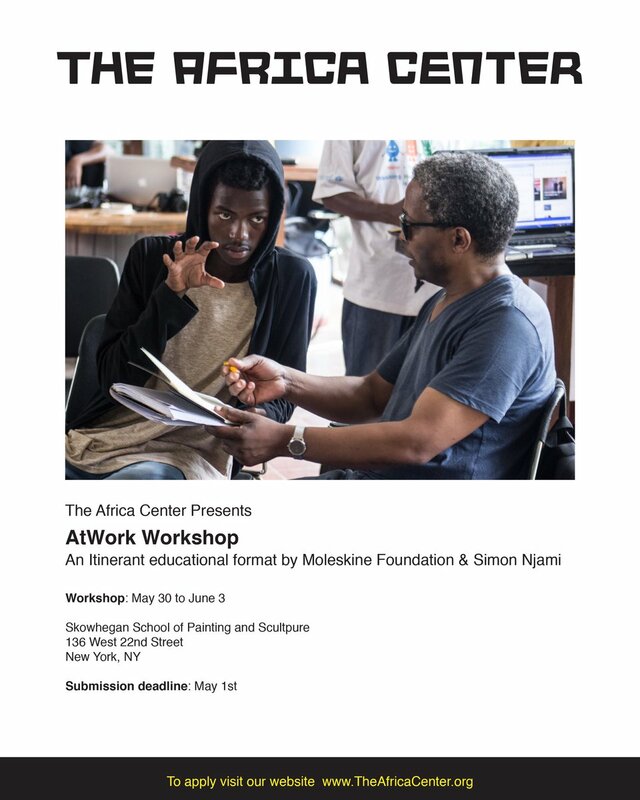 Join The Africa Center and Moleskine Foundation for the New York chapter of AtWork in May 2019. 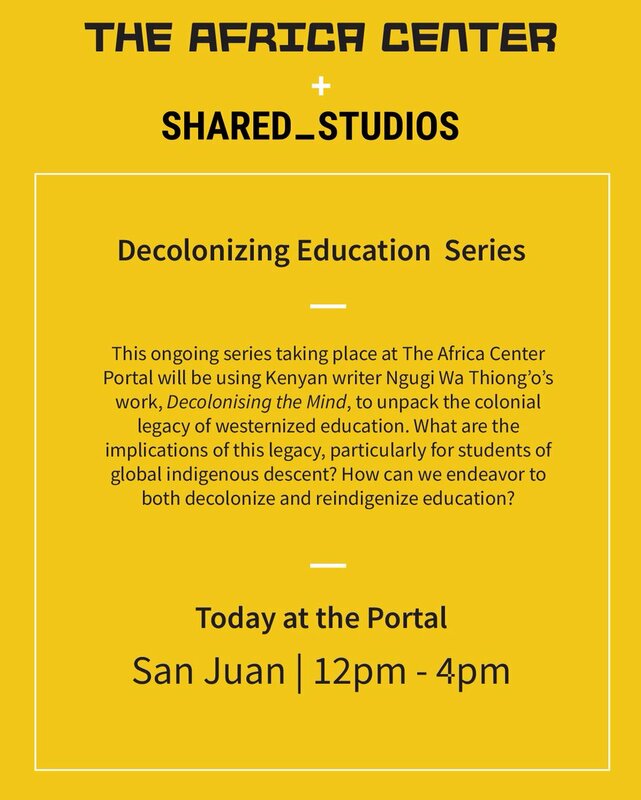 This workshop will be conducted by Simon Njami, with the theme "Where is South?" Apply now! The deadline for applications is May 1st 2019. 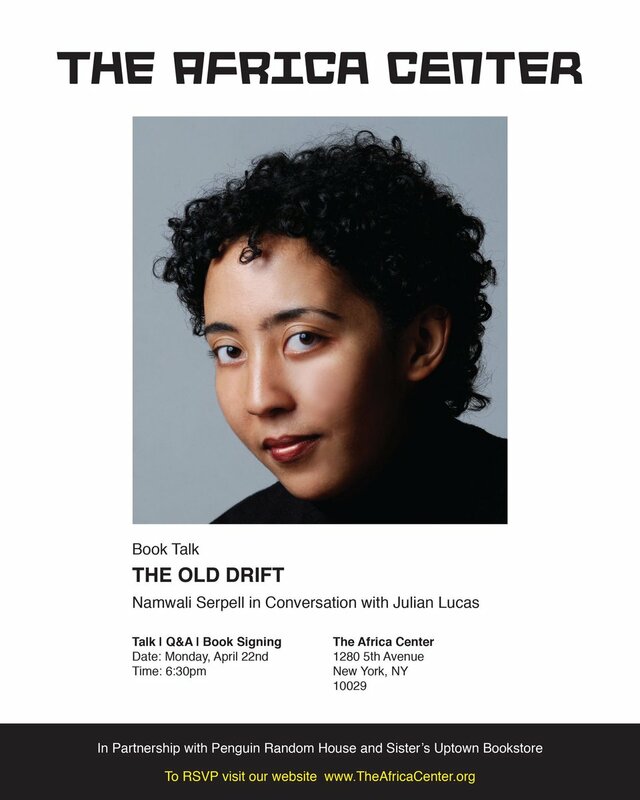 Join us in celebrating Namwali Serpell's debut novel "The Old Drift". The evening’s discussion with Namwali will be moderated by Brooklyn-based writer and critic, Julian Lucas. 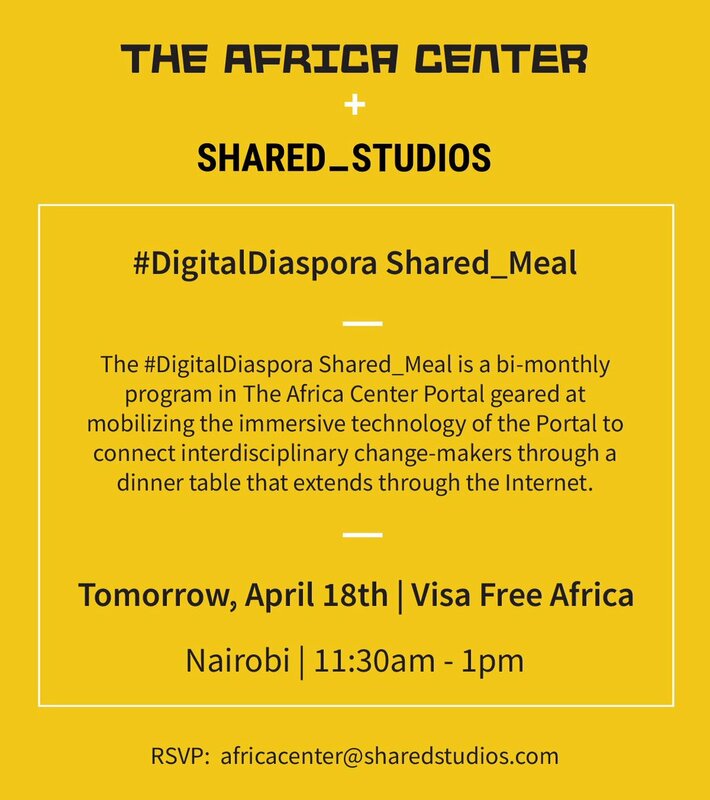 Join us tomorrow, April 18th from 11:30AM-1PM for a #DigitalDiaspora Shared_Meal with Nairobi discussing Visa Free Africa. The Shared_Meal, catered by Teranga, is free-of-cost to attendants - there are 4 open spots remaining. Come check out our live Portal activation today at The Africa Center. Today's portal features San Juan! We will be live from 12pm to 4pm. 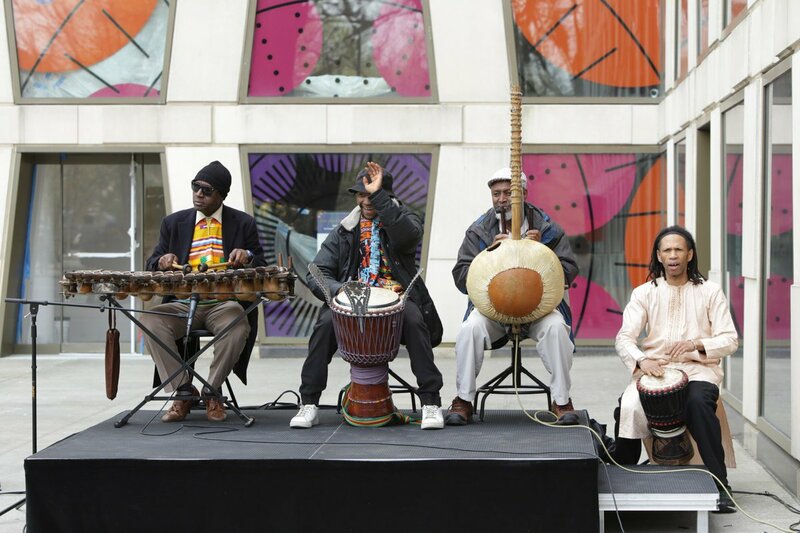 Come and experience The Aniyikaye Drummers performing live on our plaza from 2-4pm to celebrate the opening of ‘All Power to All People’ by @hankwthomas. Bring your family, friends and your dancing shoes! Teranga will also be open!